If you have ever dreamed about beautiful lightened locks, you will undeniably need some type of bleach product to lift up your mane to the desired shade. That being said, you will be on the hunt for the perfect bleach to reach your hair goals. But it is extremely important to remember that all hair bleaches are NOT created equally. There is a huge difference between the bleach you can buy at the local store and bleach that the professionals purchase. 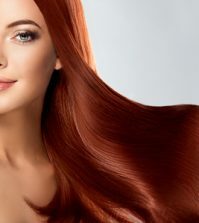 If you want glamorous, healthy, and lusciously vibrant locks, you will need to skip past the ‘generic’ brands and find a salon-quality bleach- and we’re going to explain why. 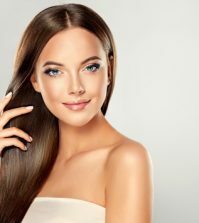 Why Choose Salon Bleach over Generic Bleach? When you’re hunting around in the local store- whether it’s CVS, Wal-Mart, or even Sally Beauty, you might wonder why you can’t simply grab up the desired color dye box you want, go home, and get to work. It seems so simple, and it’s rather on the cheap side- but let’s keep in mind, much like with everything else, you get what you paid for. And while you MAY end up with the shade you want (and that is only a possibility..), your hair will pay the price. (And if you remember correctly, you didn’t pay much for that generic bleach; but your hair will be paying the ultimate sacrifice). The main reason why you should always opt for salon quality bleach over generic bleach is for the simple fact that generic brands are made with inferior ingredients that will cause a load of problems for your locks. 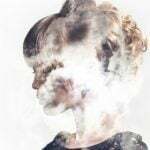 You could experience a great deal of damage after just one use, making your hair incredibly dried out and sometimes ‘crispy’, and you may even end up with breakage. Aside from a great deal of damage to your mane, another reason why you should always choose salon bleach is because it is loaded with essential and special ingredients that will ensure your hair is lightened to perfection. Generic brands may not allow you to achieve your desired shade, and it may even become uneven in certain areas after applying. Salon bleach is not only guaranteed to bring your hair up to the shade you want using specific bleaching agents, but it also contains a toner to counteract the warmth that occurs during lightening. Last but not least. Salon bleach has nourishing conditioners inside so your left with silky soft hair that is free of damage and drying. What are the Best Salon Bleaches on the Market? While really any salon bleach is better than generic bleach, much like everything else in life, some are better than others. 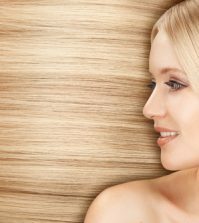 To help you decide on which salon bleach you should purchase, we’ve come up with a list of the top 4 products that are sure to give you exactly what you want and need. Ask any hairstylist and they will tell you this is one of their favorite bleaches to use. It’s an incredibly effective product that can work well with darker shades, and the uniquely designed zero dust powder ensures it is quick and easy to develop. If you are interested in working with a powder bleach, then this is definitely the top choice. TIGI Copyright Colour True Light Zero Dust Powder is uniquely designed with the inclusion of violet toner, which means you will never have to worry about any unsightly brassy pieces when the bleaching is over (and trust me, brassy strands are completely possible when using a generic brand- so stick to the salon bleaches to avoid this). 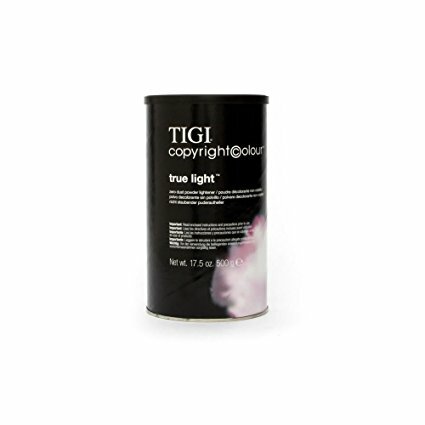 TIGI Copyright Colour True Light Zero Dust Powder is insanely easy to use even for first timers who have never developed before, and the best part is it is very gentle on the hair so you won’t have to worry about too much harsh damage even on the finest locks. Switch up your style and get that blonde you’ve always dreamed up with the perfect powder salon bleach TIGI Copyright Colour True Light Zero Dust Powder. As an added bonus: it’s not expensive at all! 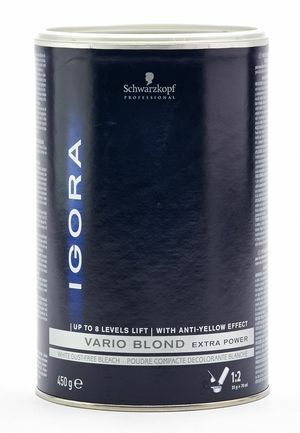 Schwarzkopf Igora Vario Blonde – Extra Power is an excellent choice when it comes to choosing the perfect bleach to achieve perfect, beautiful results every time. And if you just so happen to be on a budget but don’t want to sink down the generic level, you can rest assured this particular salon bleach is wallet-friendly but still gives you immaculate results. One of the coolest things about the Schwarzkopf Igora Vario Blonde – Extra Powder product is the fact that it is made with a creamy texture that can quickly and easily be applied to the strands- in just a matter of minutes! This makes it rather simple to reach your desired shade without having to spend a ton of time in front of the mirror. Another great reason to choose this particular salon bleach is for the simple fact that it has an ‘anti-yellow’ effect, which means you will never have to worry about ending up with some quirky yellow strands instead of light, bright, and brisk blonde locks. With its ability to lift up to 8 shades, this product can work on even darker hair that needs some extra help lifting up to a nice, extra cool blonde- unlike generic brands that would probably leave you with orangey hues and tons of disgusting dryness and breakage. 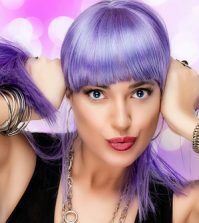 Yeah- the Schwarzkopf Igora Vario Blond is a definite winner in our book, and that’s why it’s on the list for the best bleach products you can buy. Wella Blondor Multi Blonde is undeniably one of the most beloved and trusted salon bleaches on the market. 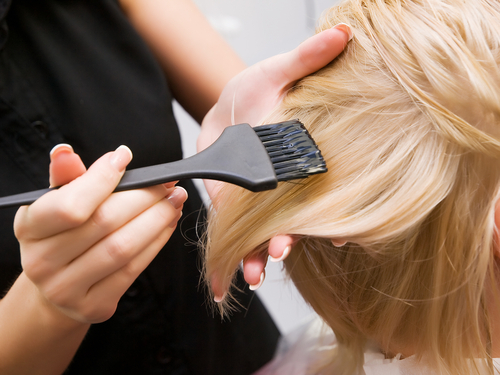 Hairdressers across the country have fallen in love with this product, and for good reason too! This outstanding product is designed with an ultra high lift potential, twice the amount of lift you would find in a generic brand. This means that even darker manes can finally achieve that light, bright blonde shade without any troubles whatsoever. (And if you have dark hair, you probably know how insanely difficult it can be to lighten up your stubborn locks!). Aside from the high lift system, Wella Blonde Multi Blonde is also made with a highly effective and utterly unique ‘anti-yellow’ system. Have you ever seen bleached blonde hair that has that awful yellow tint? Yeah, you don’t have to worry about that even for a second with this amazing salon bleach. The special system ensures your hair is being toned from start to finish, destroying any yellow hues and leaving you with a stunning, cool blonde result. Last but not least- this product works FAST, even when you are trying to lift up darker strands. The quick lightening system is not damaging on the hair at all, but it ensures you won’t be spending hours in front of the mirror trying to get that lovely shade you have always dreamt about. Needless to say, we and the rest of the hair industry go ‘gaga’ over the Wella Blonde Multi Blonde. It’s a crowd favorite thanks to it’s high lift, quick lightening, and anti-yellow system. Each and every use ensures hair that is gorgeously blonde, whether you’re dying your entire mane or simply wanting to toss in a few highlights to switch up your style. And dark haired ladies, this is an excellent option as the high lift potential will work on even the most stubborn midnight shades! 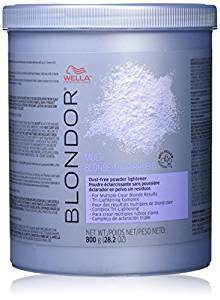 Wella Blondor Multi Blonde can be found on Amazon for under thirty-five dollars, and you are bound to enjoy the results. This is hands down the best salon bleach in the world. We could literally go on for at least an hour trying to explain to you just how amazing this bleach is, but we will try to keep it short and just stick to the few things you HAVE to know NOW! 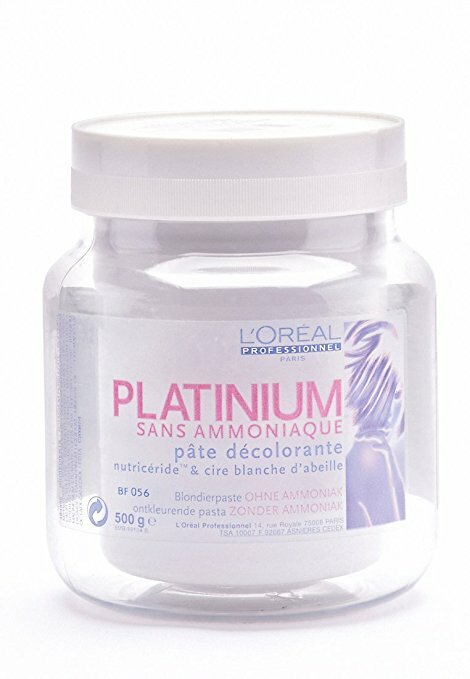 L’Oreal Professionnel Platinum Lightening Paste is undeniably the most effective salon bleach on the market today, which means you can rest assured that your locks will lighten, whether you’re struggling with super dark roots that just won’t give, or you simply want a lighter shade of blonde for the summer season. Aside from its amazing lightening potential, this salon bleach favorite is extremely nourishing and is touted as one of the least damaging products out there. So if you’re one of those gals with fine strands and are worried about potential breakage, you can feel confident with this product. Maybe your hair has seen better days? No worries- this bleach will keep your hair feeling moist, healthy, and refreshed without any damage. Now let’s talk about the different options you have with this paste. First and foremost there is a paste that includes ammonia. This particular choice is better for gals with darker manes that really need some extra help to achieve that bright, beauteous shade. On the other hand, if you just need to lighten up your locks a little bit and don’t need anything too aggressive, go for the ammonia free version- it works great! Needless to say, it is incredibly awesome that the L’Oreal Professionnel Platinum Lightening Paste is available in two different forms. It gives you or your stylist more control and you can get exactly what you need for whatever hair goal you are after. Both products, however, are made with a unique paste that is insanely easy to work with. The paste glides on the hair with ease and doesn’t expand or travel, which means you won’t have to worry about overlapping and you can create stunning highlights in a matter of seconds. Can you tell we’re in love with L’Oreal Professionnel Platinum Lightening Paste? 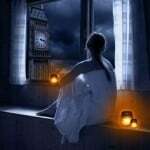 You will be too after you try it one time. It’s a bit more pricey, but it is WELL worth the price. Which salon quality bleach you end up using will be entirely up to you. But at the end of the day, whatever salon bleach you choose- whether it be the unique powder form from TIGI or the high quality paste from L’Oreal, you can rest assured that you are going to be left with bright blonde locks that are downright stunning and completely free of any damage. Don’t settle for generic- love your hair with the right salon bleach. Which one is your favorite bleach? Have you ever tried any of these bleaches? Or would you care to recommend one of your personal faves? Share with us!